The Retain statement retains a value from one observation to the next. 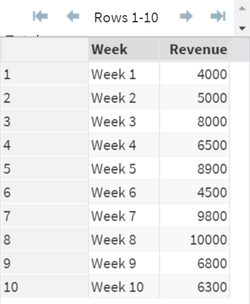 The REVENUE data set contains the weekly revenue for 10 weeks. 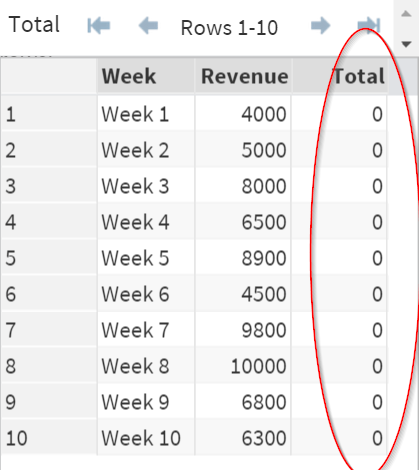 The variable TOTAL is created with an initial value of 0. Now, let's take a look an example with the Retain statement. The Retain statement retains the value of "0" from the first observation to the next. The first observation from TOTAL is assigned the value of "0". 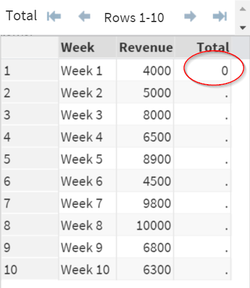 This value retains to the next observation and as a result, the entire column of TOTAL consists of "0". The main application of the retain statement is to perform cumulative summation. 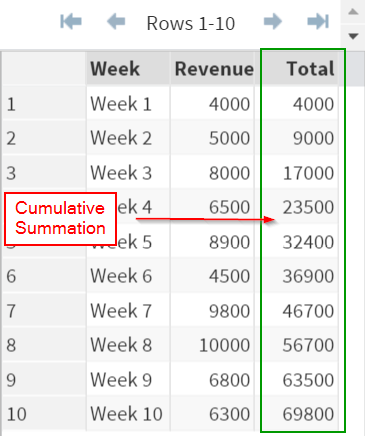 With the use of the Retain statement, you can compute the summation across observations. 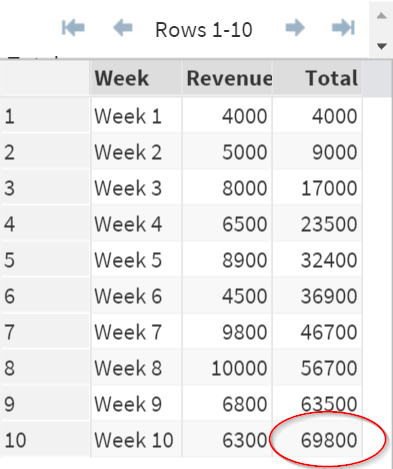 However, it is immediately added the revenue from week1. 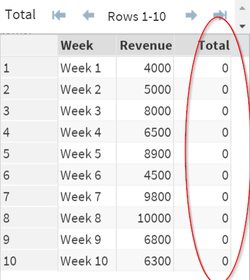 The week1 (total) revenue is retained to the next observation, which is week2. 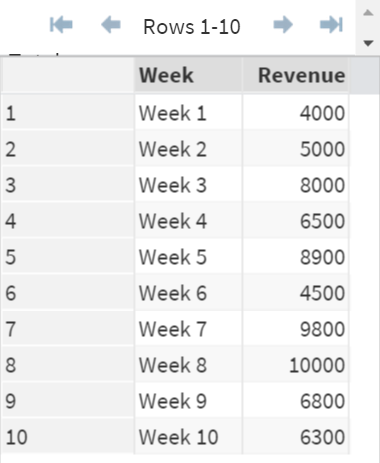 The week2 revenue is then added to the total revenue before being retained to week3. The summation continues until the last observation. In the end, the last observation contains the sum of revenues across all observations (i.e. $69,800). 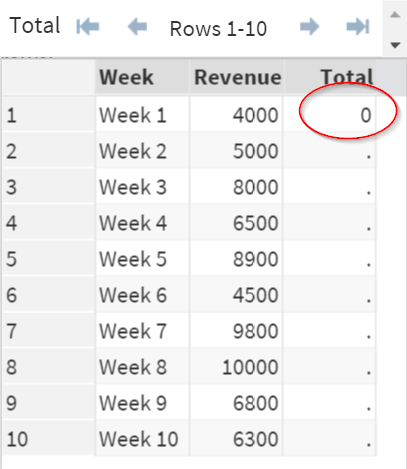 Note: setting the initial value to the variable TOTAL is actually not required. This will be explained in the next session. Compute the total inventory across all of the stores.